Dulce et Decorum est pro patria mori. “How sweet and fitting it is to die for one’s country!” (the “old lie” first written by Horace). We had a two minute silence at Bible Study today as we played Radio Four and remembered 11 o’clock, on the 11th of November, 1918. 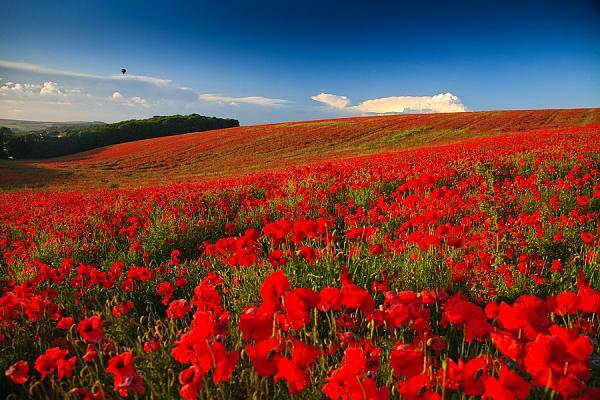 I feel very uncomfortable and ambivalent on Remembrance Day, or Veterans Day, as it’s known in the US. The conscription after 1916 during the First World War was a tragedy, and those who lost their lives unnecessarily because of inept politicians and their inept political manoeuvring should be mourned. The Allied involvement in the Second World War was certainly among the few unambiguously good military actions, and one can be whole-heartedly grateful to those who fought and lost their lives in the attempt to stop Hitler and Hirohito, sooner rather than later. My father lived in England from 1944 to 1952, and was an air-raid warden in London in 1944-45. We grew up enthralled by his memories, and for years, I read everything I came across on the Second World War. It struck me, though, that evil is self-limiting. That the Third Reich would have collapsed anyway. It was expanding too fast; was too hated in the countries it conquered; was expending too many resources in their mad quest for the genocidal “Final Solution.” But still, they did need to be stopped as soon as possible. However, how can we say that those who have died in Iraq and Afghanistan have died for their country? How has their country been served by their deaths, so sad for their family and friends? Sadly, the situation in both Iraq and Afghanistan is arguably worse that before the Anglo-American invasions. Both Britain and America would, arguably, have been better served if their young people had stayed home, and served their countries at home. Neither Britain nor America (to mention the two countries in which I’ve listed for the last 27 years) appears to be in any present danger of invasion or attack, now or in the foreseeable future. The military is now a profession like any other. The young people sent to the middle east are not really keeping those at home safe, nor are they giving their lives for those at home, despite the rhetoric we hear. Should the military be more celebrated than those who have chosen any other profession? What aspect of Remembrance Day do I find hardest? Well, of course, celebrating those who lost their lives in the India, or in the Commonwealth, or in the cause of the British Empire. The British Empire, I believe, was a bad thing, not an unambiguously bad thing–but a bad thing. Its raison d’etre was the transfer of wealth from the colonized countries to the mother country. It did not exist for the good of the colonized countries, but for the good of the mother country. It has taken the colonized countries decades to recover from the British Empire, and few have done so completely. So for those who died fighting for the Empire, I do not mourn. Though the Empire itself, I believe, existed for unambiguously bad reasons–exploitation–it was not itself unambiguously bad. These are some of the things which possibly came to India sooner than they would have because of the British Empire: railways, good universities, a good legal system, a parliamentary democracy, and the English language. Ah, the English language in which I now write! For that, I could forgive the British Empire a lot, though it is not mine to forgive. Last thought on Remembrance Day. Has any Christian country ever tried to practice the non-violence espoused in the Sermon on the Mount? To go an extra mile with a bullying soldier. To give a cloak, if a coat is taken. To present the other cheek when slapped. A society which practiced non-violence would not need an army, and would save billions of pounds. Would it be instantly invaded? Or do innocence, goodness and non-violence have their own power, protection, and efficacy as fairy tales of all nations tell us, and as Gandhi, Martin Luther King and Desmond Tutu in recent times have shown us? I would love to know, and I guess I can only find out by experimenting with it in my own life. The only reason Jesus, in good conscience, advocated gentleness and non-violence in the face of a brutal and bullying occupying power was because he knew his disciples were acting in a play written by someone else, his father who was writing the play and would control how it all turned out. And how did it turn out? The Romans? My daughter studied some of their words for her Latin GCSE, and recited the old chestnut with feeling, Latin is a language as dead as dead can be. First it killed the Romans, and now it’s killing me. But the words of Jesus and his disciples? I met this morning to discuss them in North Oxford with a brilliant, varied group of 14 women—a doctor, an English professor, two wives of principals of Oxford Colleges, assorted academics and wives, charity and health workers, and well, a blogger J. The words of Jesus are still as alive and as vital as when they were spoken. And as challenging. And well, so would I.
I think you were right to bring up the political aspect of war because many, including me, do question the justification or not of the deaths of soldiers in the name of war. Wars are conducted for political gain. @ Mark, Thank you! It's good to hear that from someone who has served in the US military in numerous theaters–you know whereof you speak! @ Jennifer, yes, perhaps choosing Remembrance Day to write this post was in the very best taste. But I do think, as Mark wrote, that the glorification of the military leads to “a waste of life, time, and resources.” It's true that the US needed the military to prevent future 9/11 type of military attacks, but according to Bin Laden, 9/11 was itself revenge for the US air attacks on Lebanon etc. I have no ambivalence on this day, I am just thankful. I don't use this day to think about the political aspects of war, whether just or necessary, or wrong, that can be for another day. But that human life WAS expended, precious young people who put their lives and families on the line because they did indeed believe it was just, and will we ever really know for certain? I really loved this post! We have been shouting similar sentiments in our blog is well. Having served in the US military in numerous theaters of war- I can say, with all manner of certainty, that not one of these endeavors were worth a single life. What a waste of life, time, and resources. May we eventually come to our senses and come together.